Nakijin Castle has one unique feature that separates itself from other UNESCO Castles here on Okinawa. 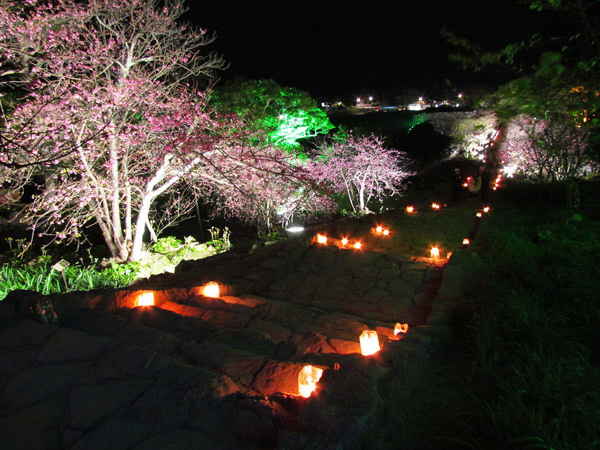 For about two weeks during the cherry blossom season, the evening hours are extended to the public and Nakijin Castle 'lights' up in an array of evening glory,...and if the cherry blossoms are in full bloom, you will see these pretty flowers like never before. 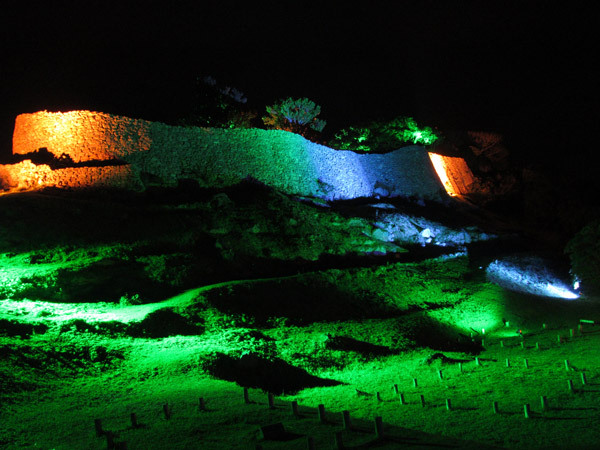 During this special nighttime occasion, Nakijin Castle becomes one of the most romantic places here on Okinawa. Admission Fee (to enter the castle): As of 2018, 300 yen for children, and 400 yen for adults. (Check website for current information. 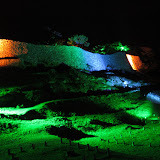 Website (Festival Information): http://www.nakijin.jp (Japanese only). Translator may be required. To go directly to the event information: click here. Special Events. Normally there is an opening ceremony to kick off the night display with special events spread out during the next two weeks (normally happening on weekends). You can navigate through the Nakijin Village website (above) if you wish to see current schedule of events. What to bring. 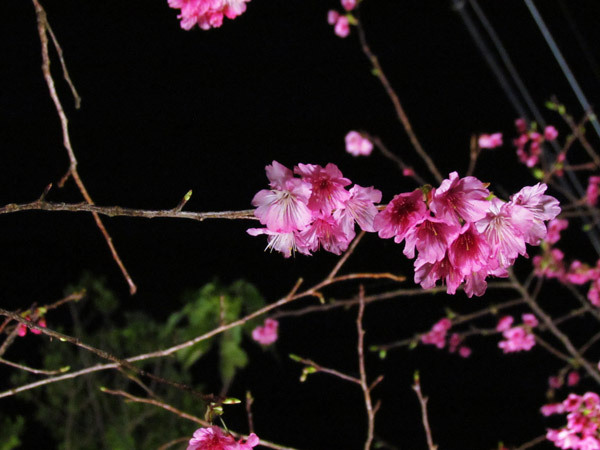 During this season, it can become very cold and windy. Please dress appropriately. Definitely bring a camera. Camera Recommendations. The night display offers great opportunities for photography, but you do have to have a basic understanding of your camera to take full advantage of your 'Kodak' moment. If you are new to photography, it is highly encouraged that you study the shutter speed and ISO settings on your camera first. Understanding these fundamentals will make a world of difference on your nighttime photography. Bringing a tripod is also highly recommended for this type of night time occasion. Amenities/Facilities/Parking. Food stands, toilets, indoor shelter facilities, and parking spaces are available on site. Wheel chairs; Unfortunately because of its historical nature, the castle compound is not wheel chair accessible. Baby Strollers; There are many uneven surfaces and stairs inside the castle compound. Bring baby strollers at your own discretion. Directions. The most simple route is to take Highway 58 north and turn on Highway 449 going into Motobu. Then take Highway 505 to Highway 115. You will be approaching Nakijin Castle from the north.You will also see plenty of signs directing you to the castle location. An alternate route and more direct is to take Highway 58 north and then Highway 449. From there take Highway 84 east. Shortly after take Highway 115 going north. You will be arriving to Nakijin Castle from the south.